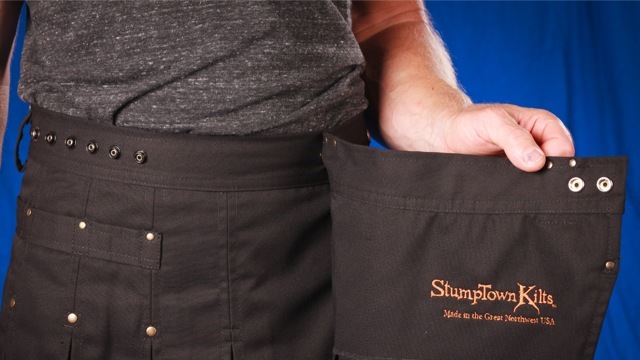 "My StumpTown Kilt is the most comfortable and versatile garment I have ever owned. Warm in the winter and cool in the summer; it is great for all occasions." Men's STK Kilts from Subspace come with two matching Attachable Pockets—one Small Pocket & one Large Pocket which attach to the Bandoleer! ATTENTION! Your pants have been lying to you. Pants sizing is not in actual inches, your waist is typically 3 to 4 inches larger. Sorry to break it to you. There is a reason they call it "Vanity Sizing". So, be sure to measure for proper fit. 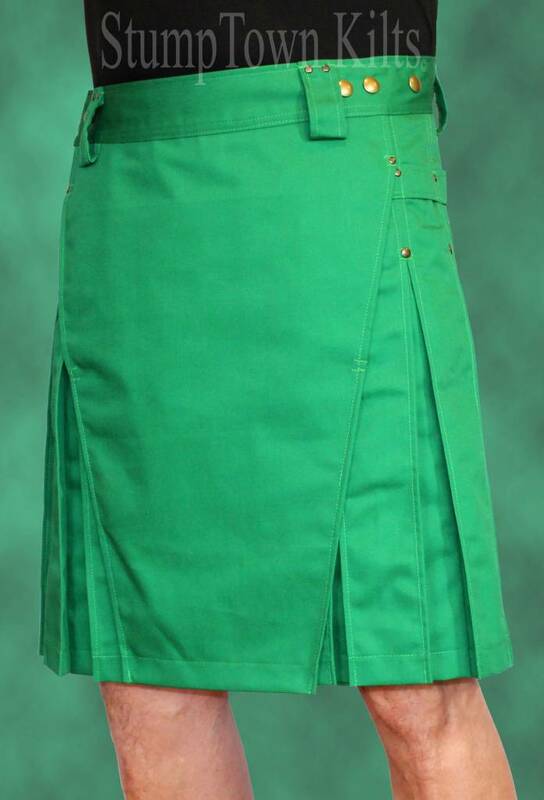 21", 23", and 25" length kilts available. 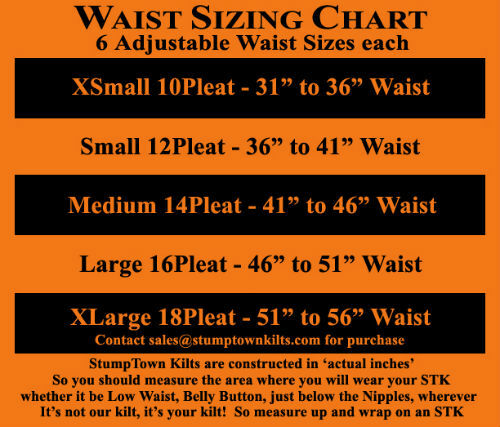 STK Kilts are measured from top of the waistband to the bottom of the pleat. 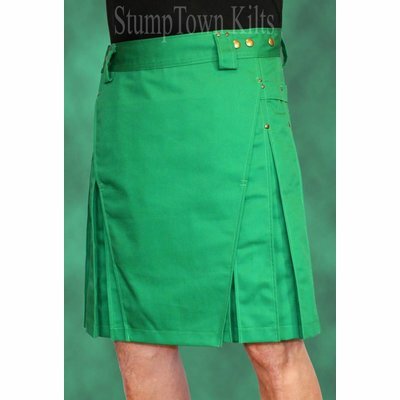 Each Kilt comes with 6 inches of adjustability using STK's trademarked snap system. 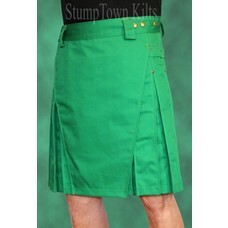 This allows you the Kilt wearer to adjust the Kilt to accommodate for weight fluctuation. It’s your Kilt. Customize it the way that best fits your activities or personal style. The bandoleer also provides great attachment points for clips, D-rings, carabiners and alike and is reinforced with bar tacking and rivets for added strength. 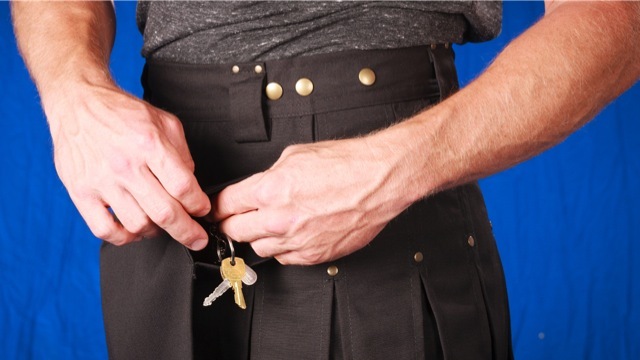 Each Kilt from Subspace comes with two Attachable Pockets—one Large & one Small. 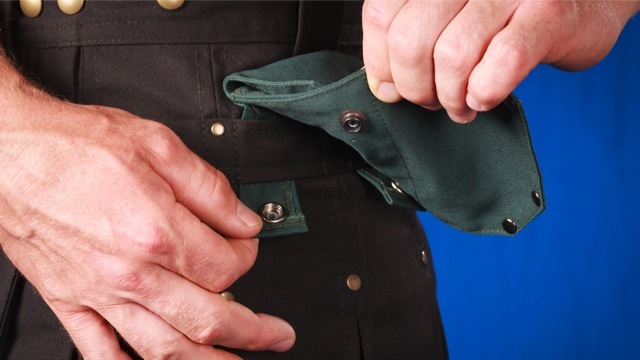 Extra Attachable Pockets sold separately. STK Kilts are designed for the person on the go. Made of a 65/35 poly cotton preshrunk twill. Normal wash and dry. NO IRONING REQUIRED. Oh Ya! The color holds it's consistency (except the Camo which is made-to-fade) and the fabric gets softer as you wash it - no shrinkage. Durability and comfort.